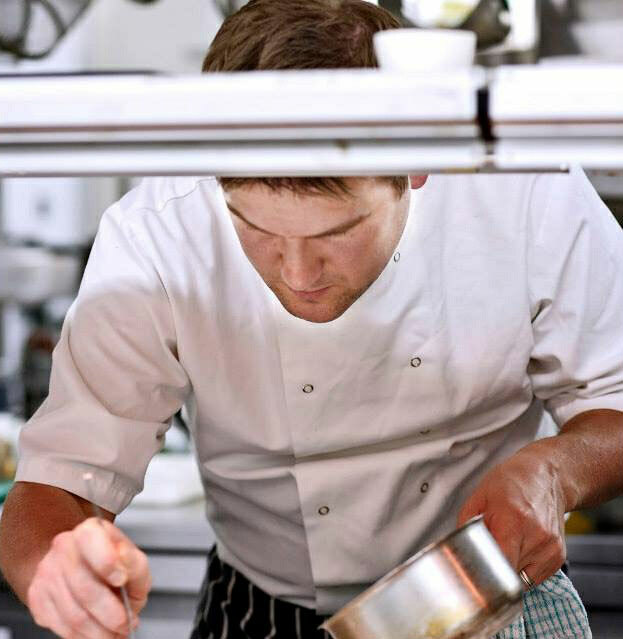 The Henderson family is absolutely delighted to welcome back Craig Gibb as Head Chef at Burts Hotel. Craig started with us way back in 1998 when he was just 16 as a trainee commis chef at weekends. We are happy that this developed his love for cooking and led onto a very illustrious career in the catering industry in hotel restaurants and outside catering including spells at Chateau Le Chaire in Jersey, Inverlochy Castle, Martin Wishart, Plummed Horse, Cringletie and Orde Catering. One of Craig’s real passions is sharing his knowledge and expertise and he is really enjoying working with our team of talented young chefs. Craig has been with us for a few months now and our guests are really enjoying his influence with new dishes and menus in our Restaurant and Bistro Bar. Now that Craig has had time to settle in we asked him to share some of his inspiration and top tips for any budding chefs out there. I always wanted to be a chef from as far back as I can remember. In cooking, I would say Marco Pierre White. Seared Roe Deer with beetroot, glazed figs, hazelnuts and grand venure sauce (it won Best Main at the Scottish Culinary Championships 2015). Where do you get your cooking inspirations from? All around! Reading books, eating out in other restaurants, collaborating with other chefs, the changing of the seasons, and of course – watching cooking shows on TV. What has changed most over the years in catering since you first started at Burts at the age of 16? Burts has remained a place of quality throughout the years and I want to keep the standards high. The general standard of cooking in Scotland has elevated over the years and with cooking programmes becoming so popular, the public can see first hand, the high standards reached by chefs today. What are your favourite ingredients? All of them really, there’s not much that I don’t like – be creative and try different ingredients. What cooking utensil could you not be without? A timer or my knives. Best piece of cooking advice given? What is your favourite place in the Borders? Scott’s View as its simply stunning. My favourite walk is by the river behind Melrose near the Swing Bridge, I walk here often with my wife and two kids. I also love the walk up Easter Road to watch Hibs play.